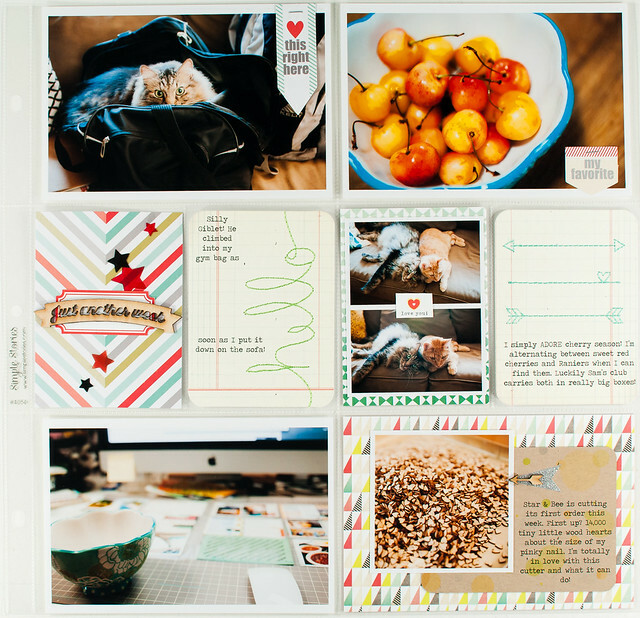 Hi there, it´s Nina here today on this years last day, sharing a scrapbooking tutorial with you. 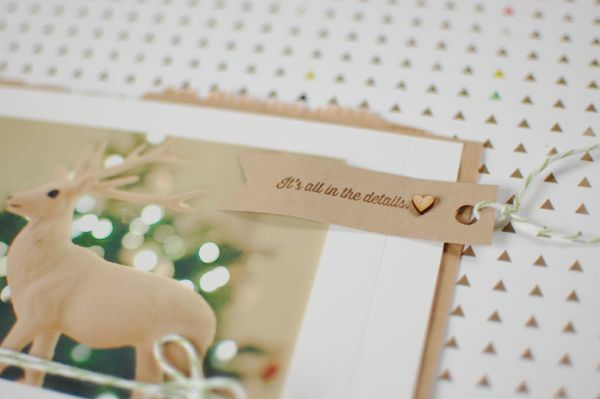 To create this page I used the beautiful CTK December Main Kit as well as the Embellishment Kit. 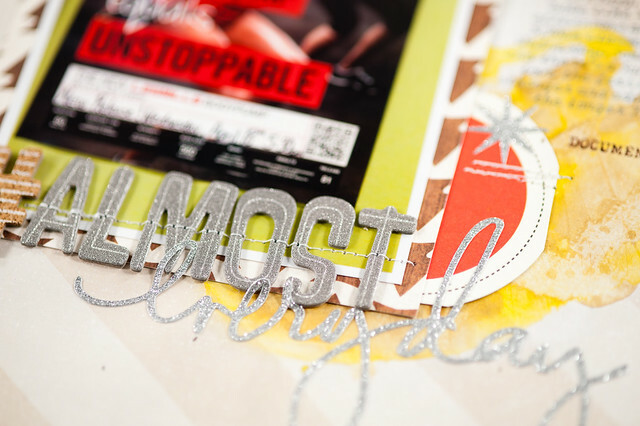 For the background I used a bright green card stock with the Glitz Design triangle paper. 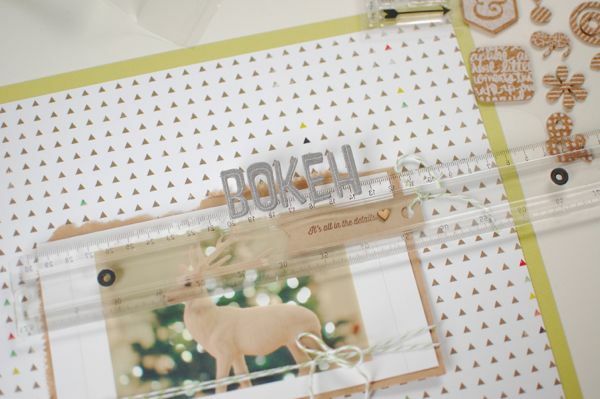 To layer the picture I used the CTK paper bag where you get all the tiny kit embellishments. I cut the bag in the right size and add the picture. 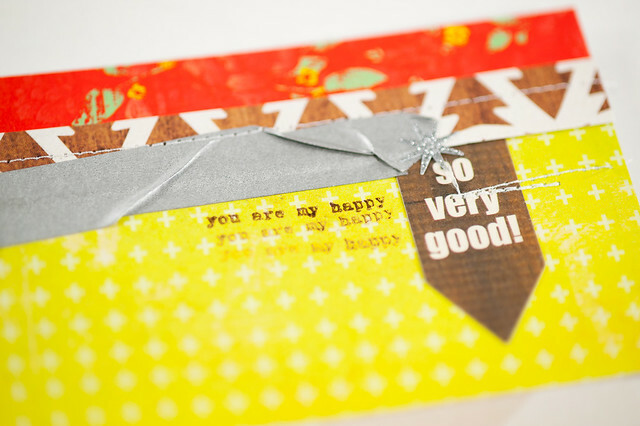 For the next step I used the twine and tag (using the back) from the December Mail Kit packaging to make a bow and a self stamped tag for the picture. 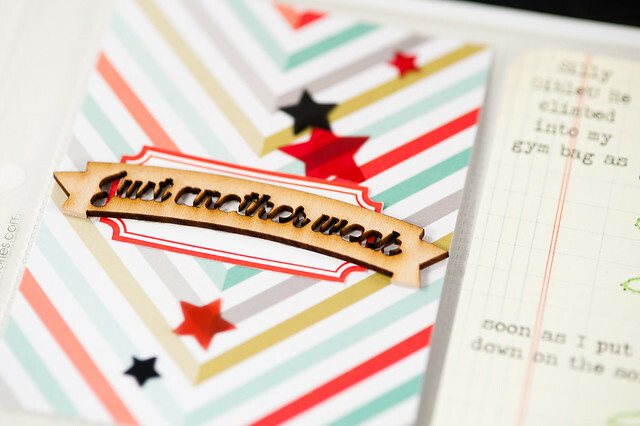 The "it´s all in the details" stamp phrase fits perfect in here. 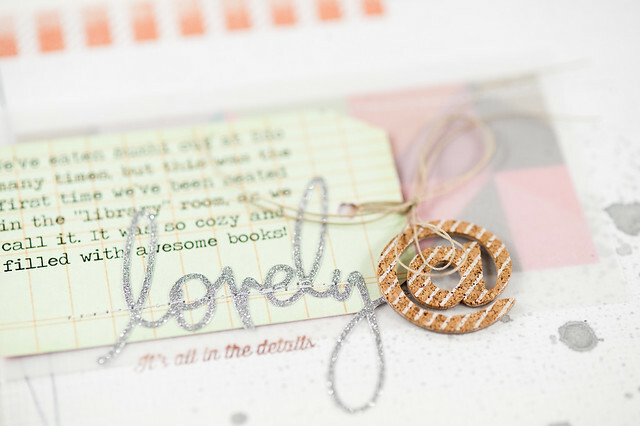 I add the tag with the little CTK die cut heart on the top of the picture. To find the perfect place for the title I always use a ruler with the alphabet on it. This helps a lot and prevent to pill off the Thickers on different places. At first I tried to use the Heidi Swapp words directly on the patterned paper but they disappeared completely with the background. Therefore I add the white paper packaging from the HS word sticker under the picture to add all the sticker on it. All of us here at Citrus Twist would like to wish you a wonderful start in the new year 2014. We can´t wait to see what the new year brings up! We want to see your projects, too! 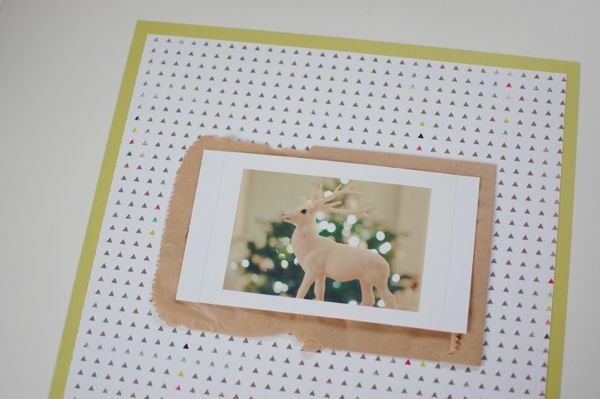 Simply use the hashtag #citrustwistkits next time you post a project using our products. 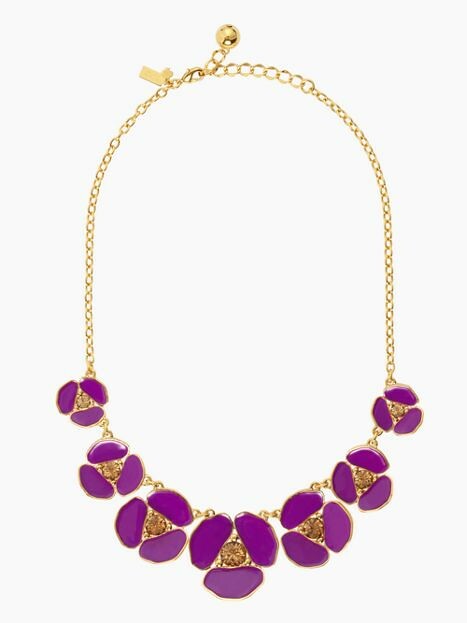 You can also follow the Citrus Twist account on Instagram for sneak peeks, announcements, and the occasional giveaway. Hello everyone. As 2013 draws to an end I thought it would be fun to do today's Sunday Sketch using elements from some of the upcoming January kits. 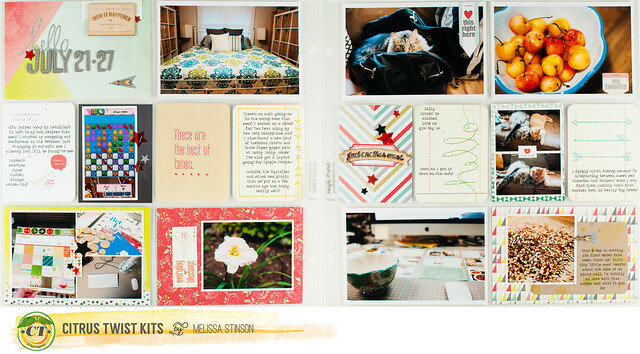 I hope this little sneak will get you ready to get your scrap on--both scrapbooking and pocket life--for 2014. 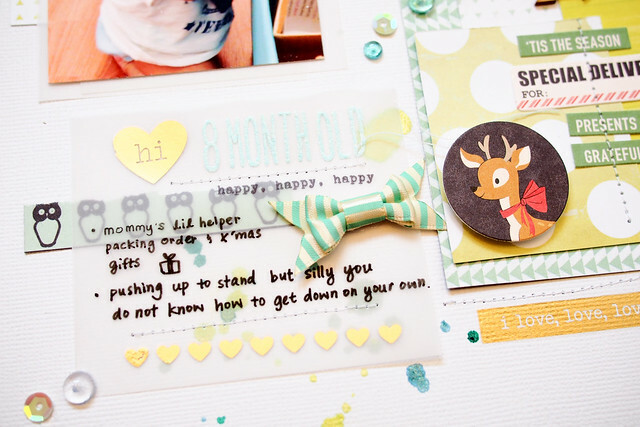 One of my New Year's resolutions is to keep my scrapbooking space better organized. It was refreshing to sit down to a nice, clean space! I started with Kasia's delightful sketch, drawn by the sun rays, stars and layering. If you've followed any of my Sunday Sketch layouts, you know that I stick pretty close to sketches. 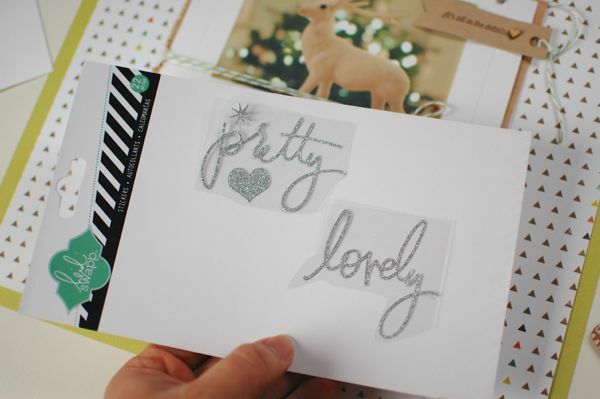 One of the (many) things I love about scrapbooking from a sketch is that it's fast. 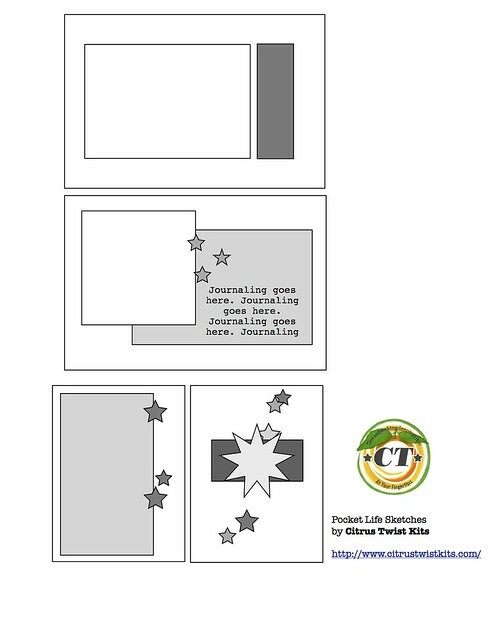 I can be creative without starting completely from scratch and this makes it easy to whip out a design. Now for your close ups. 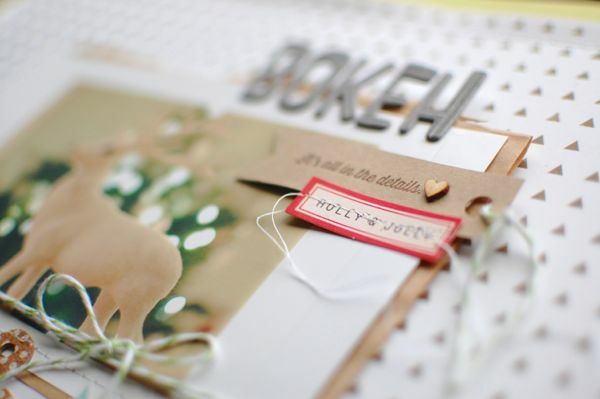 This shot shares a sneak of the January Main scrapbooking kit handcrafted vintage item and a little exclusive wood chip! 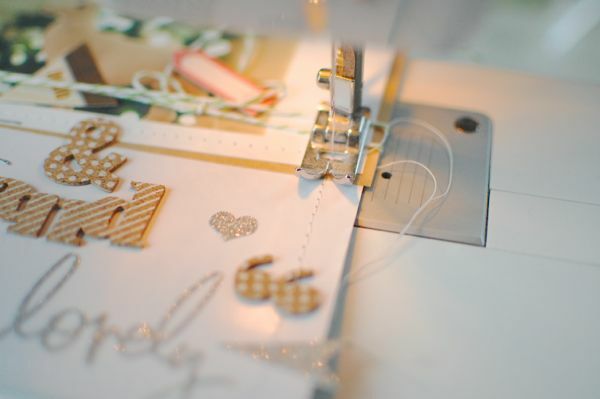 I couldn't resist piling some of Janaury's embellishments onto my layout. Any guesses as to what you see? 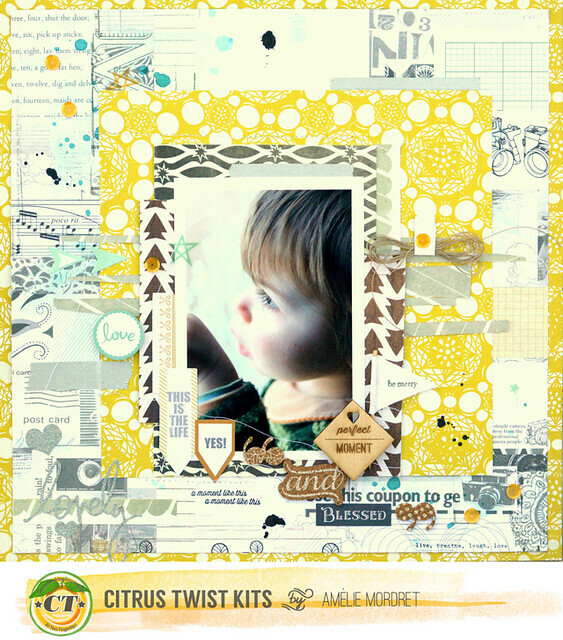 To play along with the Sunday Sketch Challenge, upload your layout(s) to the gallery by January 4th to be entered in a drawing to win a $5 Citrus Twist gift certificate to our store or add-on kits. 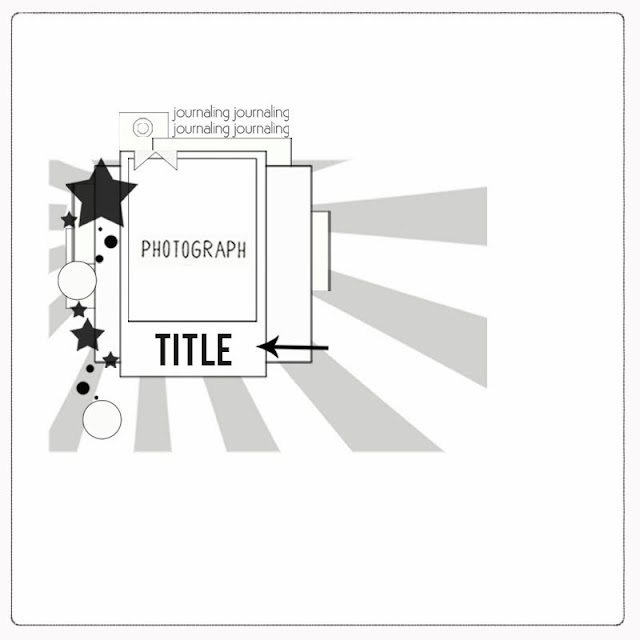 When uploading to the gallery, please include "Sketch 12/29" along with your layout title. Can't wait to see what you do with this week's sketch. 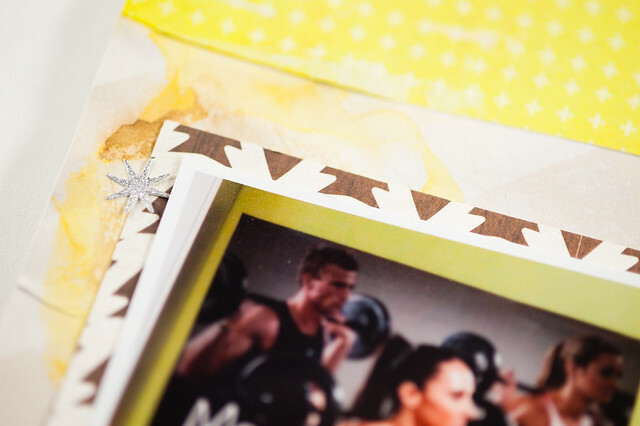 studio Calico Printshop Monochrome background paper and yellow paper from Crate Paper. With some lightly blue, it's perfect! I added lots of little embellishments on the bottom of my picture. I decided to use the button thread as it was packaged. I like the naturalness of this little bow. 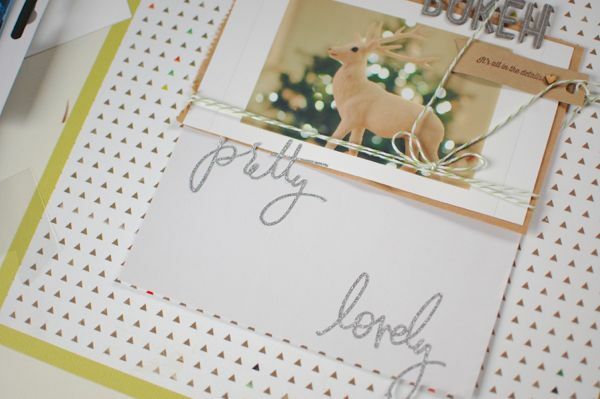 I just hide staple under sequin (from a previous kit). I hope this will inspire you. Hello, everyone! Melissa here with you (again!) 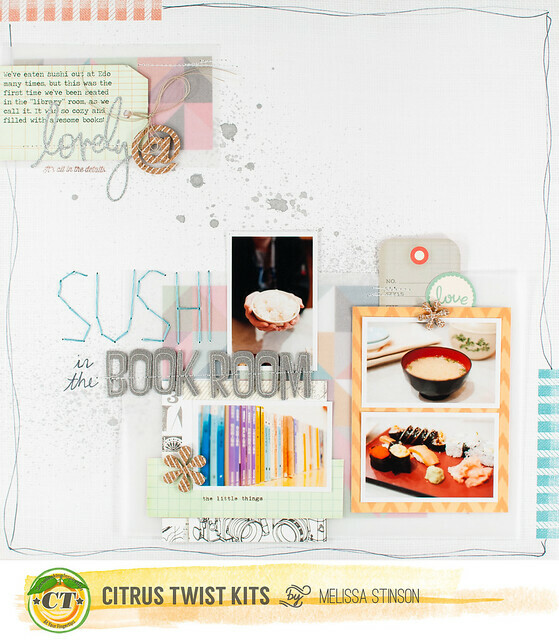 today to share not only the last Pocket Life layout using the December kits, but also the last Pocket Life layout for the Citrus Twist blog this year! Although you can start your own weekly album at any time, the end of one year and the beginning of the next is the perfect time to evaluate whether you want to start this project or make changes to your process in the new year. I'm heading into my fifth year of this style of documentation, and my own process has gone through lots of changes during that time. My first year (2009) I took the photo a day approach, and then after taking 2010 off, I started again with a photo a day in 2011. 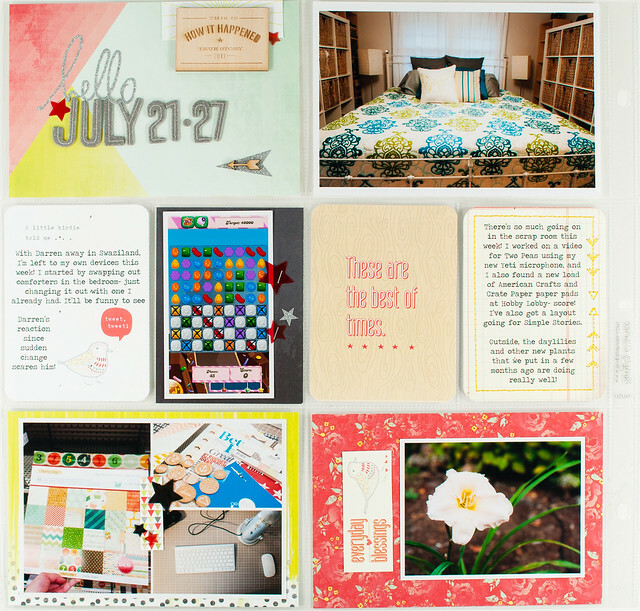 Halfway through that second year I found myself getting bored with just one photo and one journaling card a day and gave up on the project...until I stumbled across several designers who had really made the project their own, moving beyond just a photo and a journaling card to add all kinds of different sizes of photos, patterned papers, and embellishments. I was hooked again and picked up my 2011 album and have been completing "make-up" weeks in it ever since while continuing to document 2012 and 2013 in the same style. 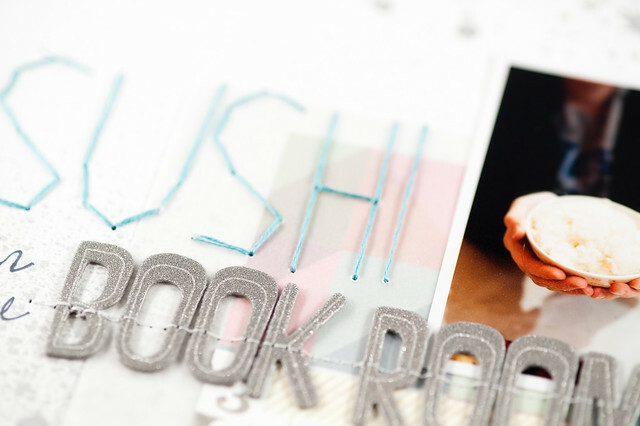 I'm still quite in love with a more embellished album with a less rigid photo requirement, but I'm feeling a change coming on for 2014 again. Next year I'll still continue with my Pocket Life album, but in a 6x8 format instead of 12x12, and with a looser framework for time. 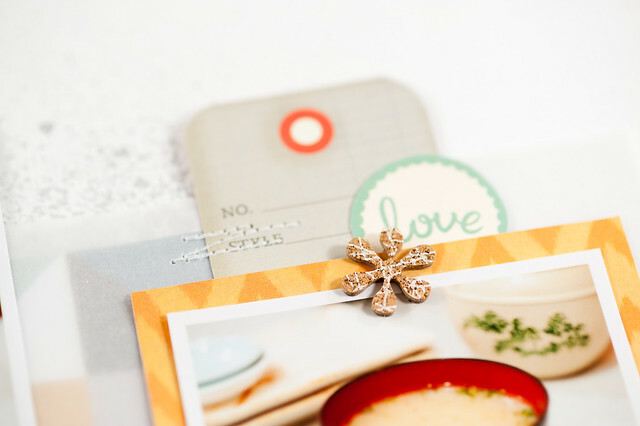 I'll still do my best to edit and print photos on a weekly basis, but I won't try to contain my pages to just two sides of a page protector per week. Some weeks may just have two, but others may have many more than that. 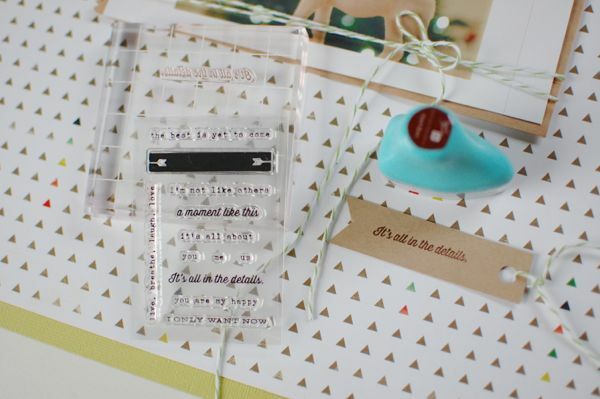 With all of the options coming out for 6x8 page protectors including Simple Stories' Snap, Studio Calico's Handbook, and October Afternoon's Daily Flash (that you can find in the Citrus Twist shop), I think it will be a fun change, and I absolutely love the way that the little binders look and line up on a regular bookshelf- not just ones sized to hold a 12x12. I'll still be finishing up my 2013 album and finishing those last few 2011 weeks next year, though, so you'll be seeing a mix of 12x12 and 6x8 from me in 2014! One thing that will definitely continue in 2014 are the sketches that the design team posts every week! You can either save the image below or download a PDF of this week's sketches here. I hope that everyone has a safe and happy new year! 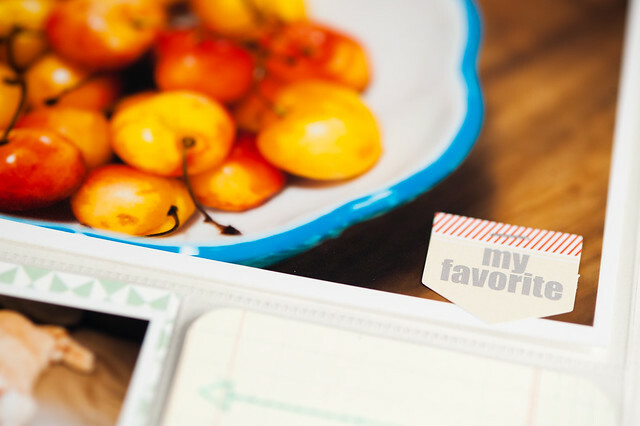 Each year Pantone selects what it predicts will be the color of the year, and for 2014 they're forecasting a color that we don't often see in scrapbooking- a lovely shade of purple! 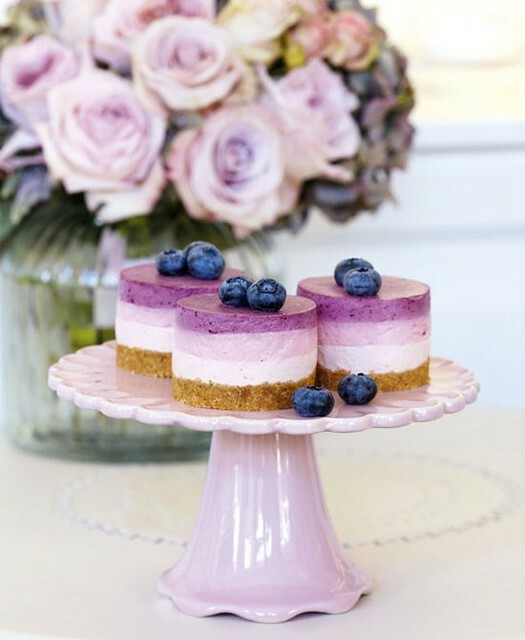 A quick search on Pinterest will turn up hundreds of images of inspiring ways to use this hue, and I've included just a few of them here today. 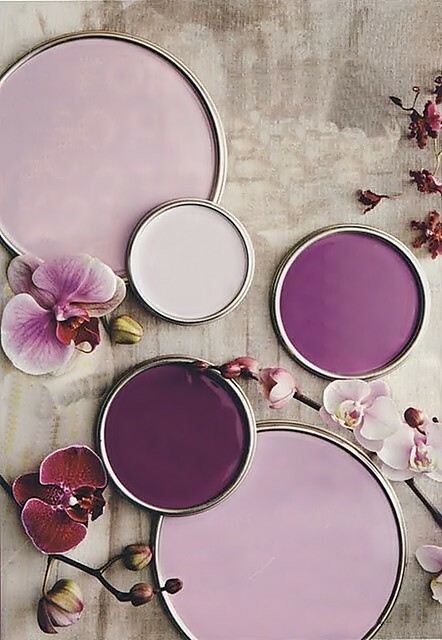 While Pantone only forecasts what they think will be a trending color and doesn't control its success or failure, we're actually already seeing shades of Radiant Orchid pop up in scrapbooking products. 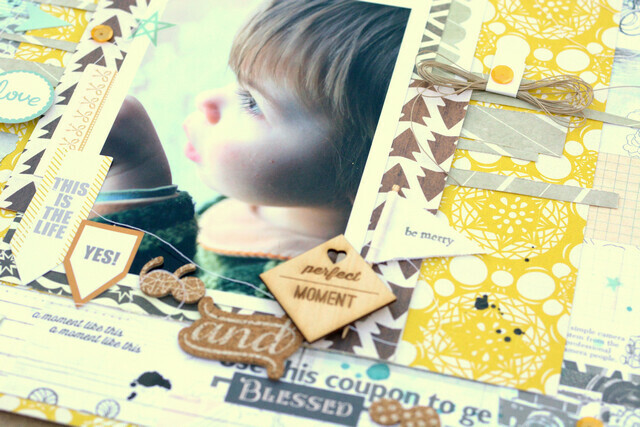 The Autumn Crisp collection by American Crafts (you'll find several pieces of it in the December Add-On kit) includes small amounts of purple, and if you find that using purple on your scrapbook pages is intimidating, take a minute to look at the images above again, then keep reading below. 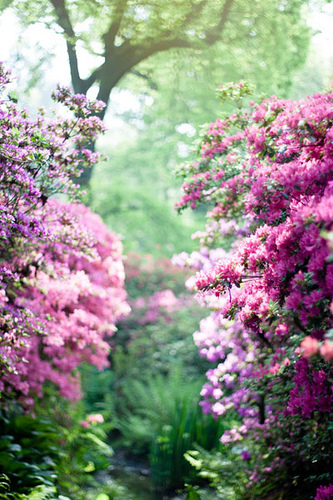 In Pantone's Radiant Orchid image, purple is definitely the star of the show. 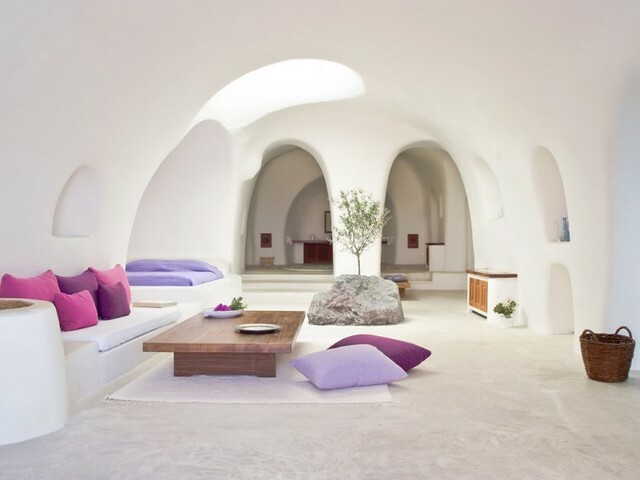 In the rest of the inspiration images, though, it's used in different ways- as the main focus, as a supporting color, mixed with differing amounts of other shades, or even as a tiny accent. If you want to try using purple but don't know where to start, take a cue from that last usage and add just a tiny amount to your page. My layout uses a fairly large piece of Autumn Crisp paper at the bottom along with a smaller piece at the top, and to tone them both down further I pulled a piece of vellum out of my own crafting stash to layer over the top. The result is a page with just a hint of purple to coordinate with the purple books in one of the pictures, but here purple is definitely in a supporting role and not the main focus. 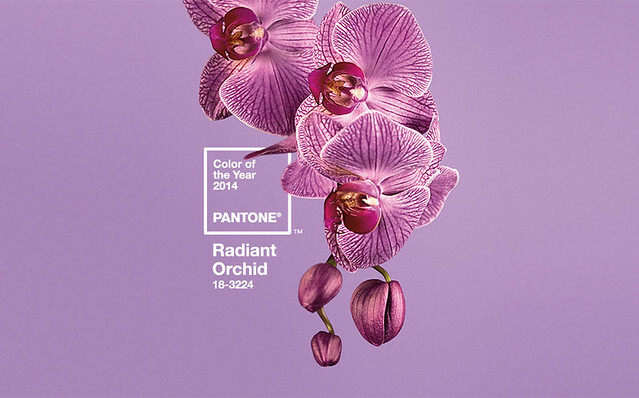 Pantone's announcement of their 2014 color forecast is also a reminder that 2013 is quickly drawing to a close! We hope that you enjoyed your Christmas holidays and look forward to sharing more with you all this week and into the new year. Hello there! 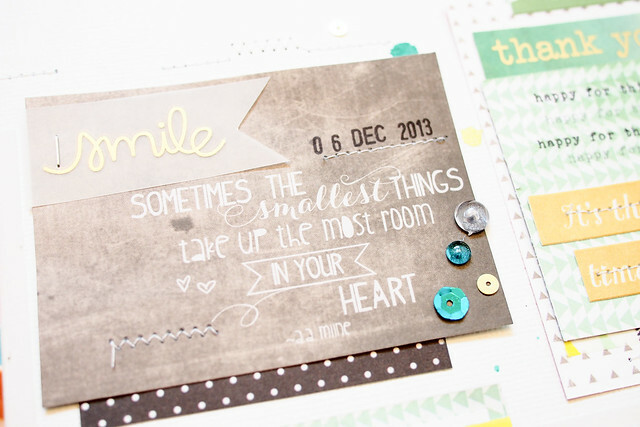 It's Sam today to share a layout using 6x6 Paper Pad from DEcember Pocket Life kit - Shine. 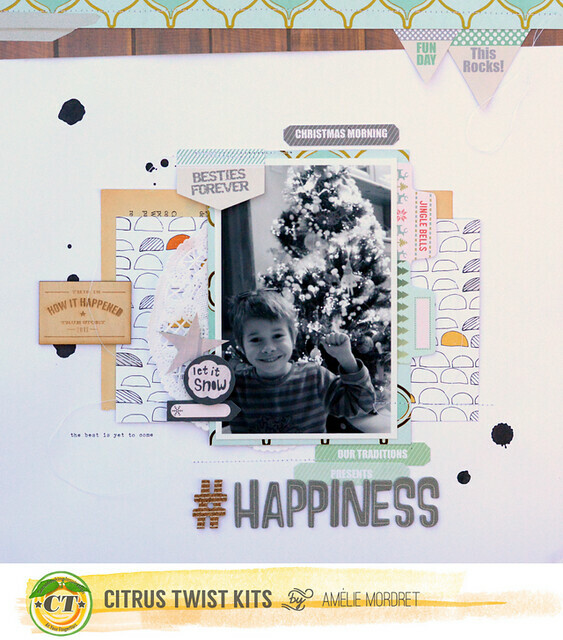 Before this, all of us from Citrus Twist Kits would like to wish all of you a Merry Merry Christmas! I hope everyone is enjoying and having fun today no matter where you are and what you are doing. 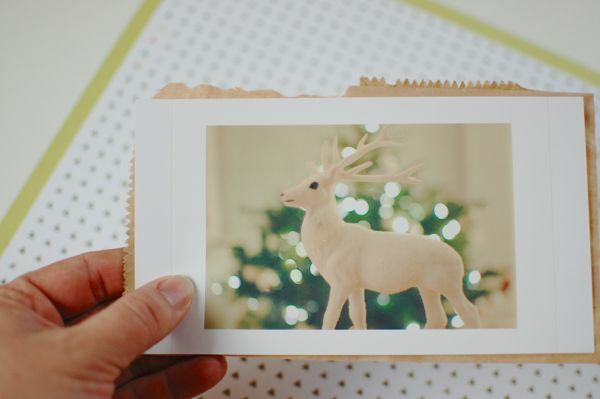 Did you have fun creating, documenting and making stuff for this festive December? I know I do and I have a really BIG wish for this Christmas. All I want for is a Christmas miracle for my father in law who is diagnosed with terminal illness few months back. I took a lot of photo of him and baby recently so that I could get it documented and it will never go 'out of sigh, out of mind' in the future. I love the quote in one of the chalkboard paper so I cut it up and use it as one of the box. The gold rub-ons, sequins and crystal drops are from my stash ;) Just need some blings blings added to this page. 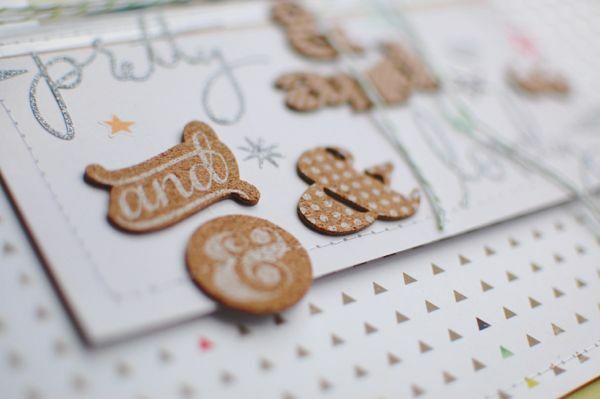 I am loving this month stamp set from the kit. The sentiment 'happy for this moment' is so usable in many of the projects - PL, albums, layouts etc, you name it! Again, I added the blue sequins and blue bows to bring out the blue / teal color box in the photo. 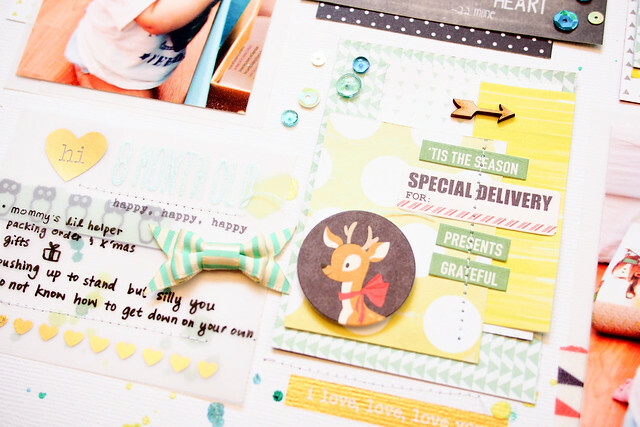 This month kit has all the gorgeous green but no blue at all! I stamped the title with Lawn Fawn Milo's ABC stamp. They are now available at Citrus Twist Store. Go get them before they are gone! 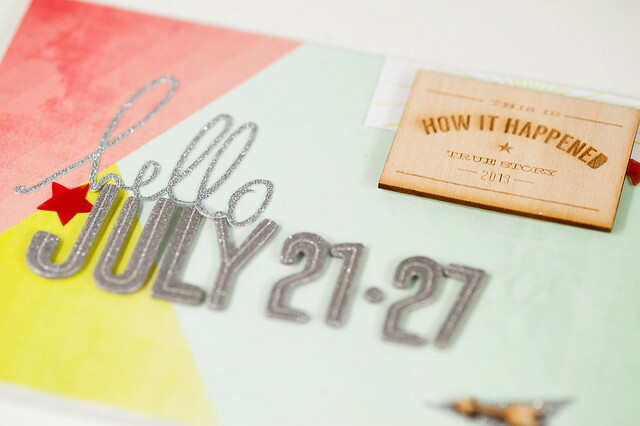 I love stamping titles or sentiments or even dates with this Lawn Fawn stamp on my layout & PL pages. p.s. 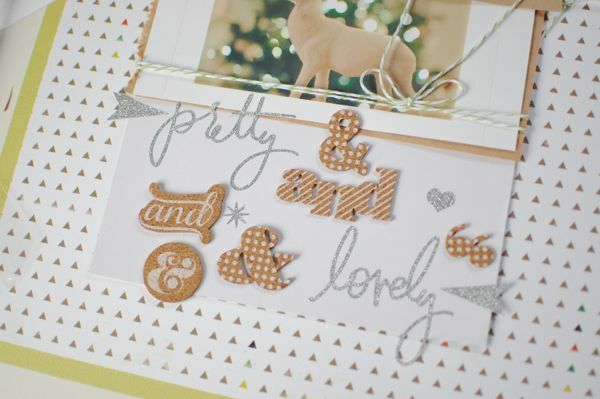 : Gold rub-ons, bows, sequins, speech bubbles and crystal drops are from my stash. Hello, and a very merry Christmas Eve to everyone! 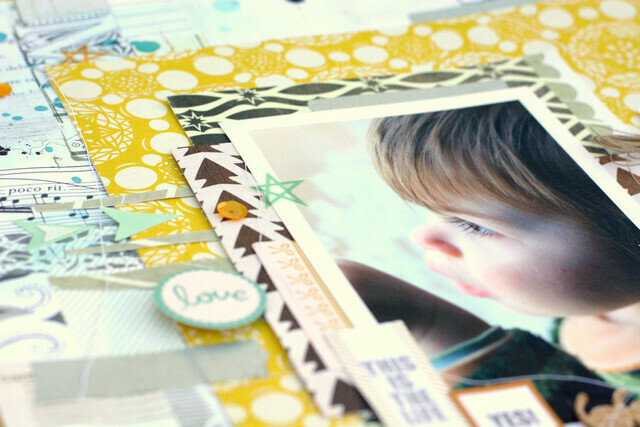 This is Melissa here with you today with your weekly tutorial, and this time I decided to film a video showing how I made this layout! This page was my main kit only layout with the December kits, and I decided to shake things up and do an 8.5x11 instead of my usual 12x12. I loved the change in size, and I'll definitely be trying more of these in the future! All of us here at Citrus Twist would like to take a moment to wish you a Merry Christmas. May your holiday be filled with joy, love, and laughter. As you can see, nothing difficult. I began to stick on my background a "page book" from my stash. I added on it a piece of Studio Calico paper. My picture is matted on Chic Tags paper and on a doily from a previous kit. After you have just to place some embellishements and some ink stains. 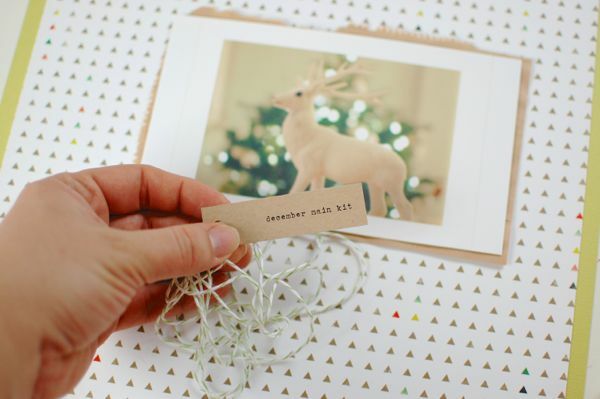 Little labels (Christmas morning, Our traditions and Presents) come from bottom of Chic Tags paper. 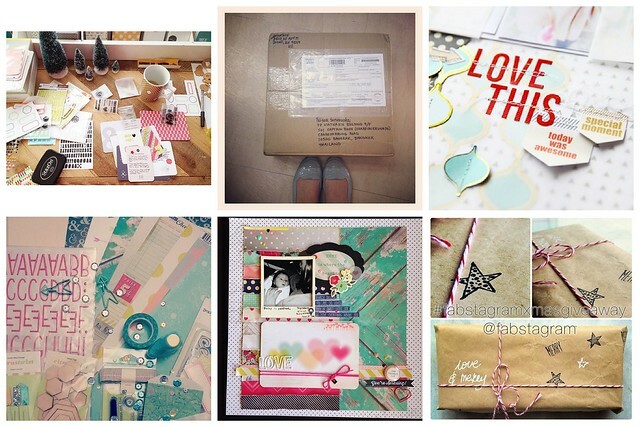 Some stripes of papers on the top of your layout and voila it's ready!